Easiest to install, level and remove! 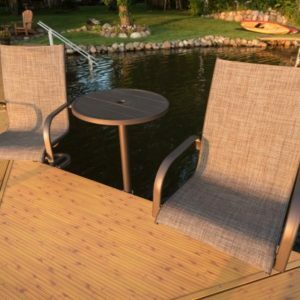 Sectional Docks are sturdy, store in minimal space and are an economical solution. 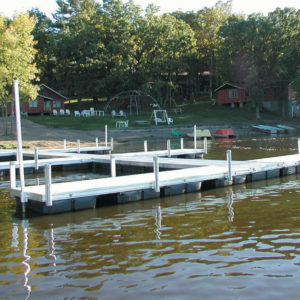 The right choice for frequent water fluctuation, water depths over 8' or unusually soft lake bottom. 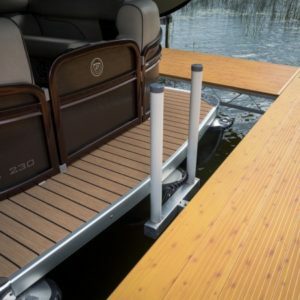 From corner bumpers to seating, there is a variety of options to customize your dock experience. 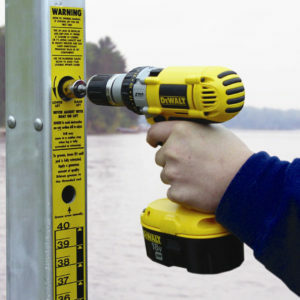 Designed to be an aid to help determine the right size boat lift for your watercraft. FLOE Pivot Lifts are the sturdiest in their class. A trouble free economical solution for small boat and PWC up to 1600lbs. Accessories include bunk options, guide-ins and wheel kits. 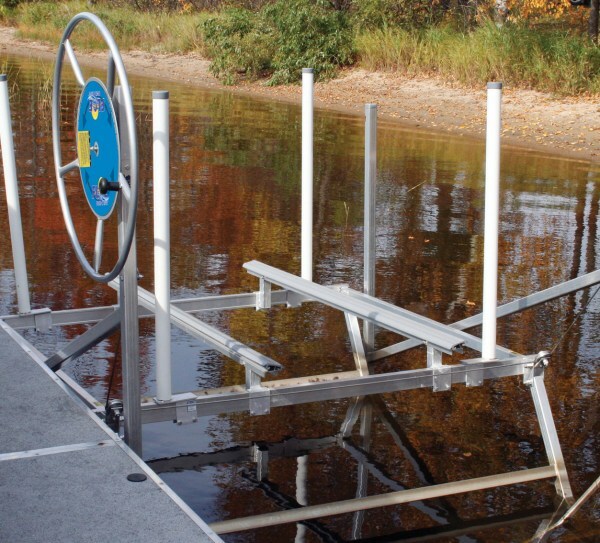 Floe has a complete line of vertical boat and pontoon lifts with extra deep canopies ranging in capacities from 2000 lbs to 10,000 lbs. 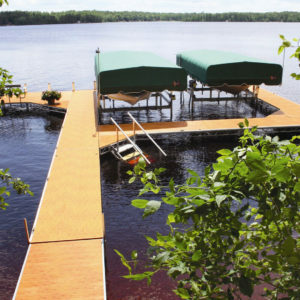 FLOE boat lifts work in the greatest range of water depths and offer the most protection for your watercraft. 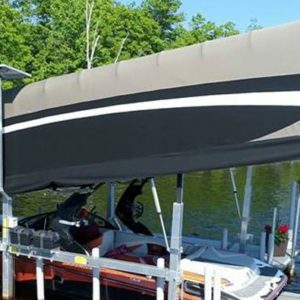 LOE’s VSD technology raises and lowers your boat in about one-half the time of most other powered boat lifts. 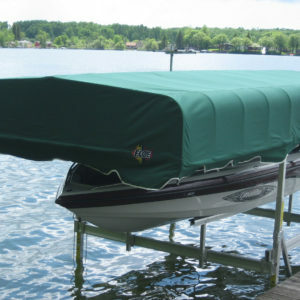 The canopy frames adjust vertically and horizontally for perfect boat coverage. 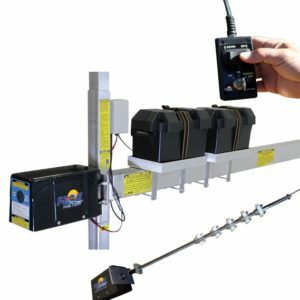 From guide-in systems and wireless remotes to bow stops, there is a variety of options to customize your boat lift. 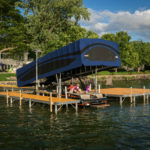 All FLOE vertical boat lifts are equipped with the patented Easy-Level™system.